Rocky cliffs and sandy bays draw visitors looking for a action along the coastal area in Bophut, where diving and snorkeling opportunitys abound. Area towns are known for two things in this region, either the fast-paced nightlife (bars, clubs, or private parties) or the slow, relaxed atmosphere of the spas, temples, and regional cooking courses centered around cuisine. Away from the crowds, you'll get a glimpse of the old island dotted with peaceful fishing villages and more rural communities that provide a welcome contrast to the urban bustle. Bophut is in Ko Samui. 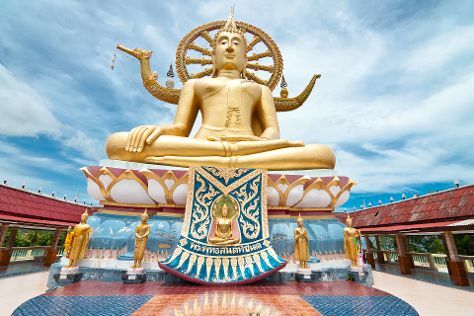 Whether you only want to go to Bophut, or have a whole adventure planned, Inspirock has you covered with our user-friendly Thailand trip itinerary planning site .